This is one of the simplest as well as most effective acne cures that can be made at home. Take some regular salt or sea salt and pour a little water into it. Make sure that you do not dissolve the salt completely. Instead, prepare a smooth paste and keep it aside for at least 20 minutes. Then, apply the mix to the affected areas. After 15 minutes, wash the mask off with fresh clean water. Being a natural cleanser, salt can keep your skin free from oil which prevents acne breakouts eventually. Honey and yogurt are two other excellent kitchen ingredients that can help you get rid of acne. 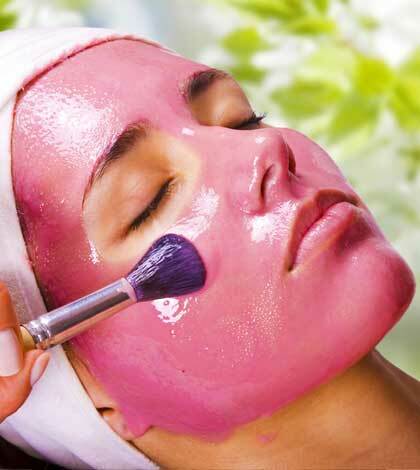 To prepare the face mask, take 1 teaspoon each of honey and yogurt and combine them thoroughly. As soon as a paste is formed, apply it on your face and leave for around 20 minutes. Then, use a soft washcloth to wipe it off. You can also heat up the honey a little bit prior to mixing it with yogurt. It makes the mask smoother and aids in healing ugly acne scars significantly. Egg white mask is another highly effective solution for acne-ridden skin. All you need to do is to separate the white section of an egg carefully from its yolk. Now, cleanse your face properly with lukewarm water and apply the egg white on it. After 15-20 minutes, rinse it off. Well, the smell of the raw egg mask might be quite unpleasant, but you will definitely get amazing results. People with dry and flaky skin can also face a lot of acne problems. This almond and milk face mask can be of great help in such situations. It not only gives an acne-free flawless skin, but also induces lots of moisture into it. Take a small bowl of milk and soak 4-5 almonds in it for the whole night. Next morning, prepare a fine paste by pounding the soaked almonds with the milk. Massage your face with this mask and finally rinse with warm water upon drying. Baking soda is a very common item that you can use in your face mask to stay away from acne. Just take 1 tablespoon of baking soda and pour a little water into it to make a fine paste. Cleanse your face properly and then apply it all over the facial skin. It usually takes 15-20 minutes to get dried. After that, wash your face with fresh cold water and experience a visible difference.